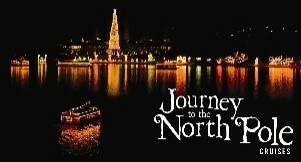 NOV-17th Journey to the North Pole Experience the magic of the holidays on shimmering Lake Coeur d’Alene! Take an unforgettable holiday lake cruise across the sparkling waters to view more than 1.5 million twinkling holiday lights and visit Santa Claus and his elves at his waterfront toy workshop, where he magically speaks to each child by name! This 40-minute cruise departs daily from November 17 – January 2nd. Cruises depart at: 5:30 pm, 6:30 pm and 7:30 pm. Tickets and boarding takes place at The Resort Plaza Shops. *** We will be collecting the following: sample/trial size personal hygiene items ( like toothpaste, soap, etc…), packaged snacks (granola bars, Power Bars, Clif Bars, etc…), hats, gloves, scarves, and socks for the homeless population. 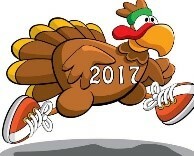 Run begins at 9 am at the Kroc Center in CDA with Race-Day registrations from 7:30 to 8:30 am. 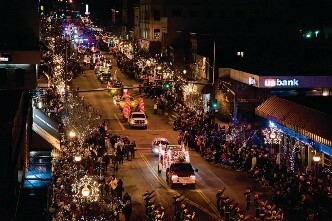 NOV- 24th Lighting Ceremony 5PM The Coeur d’Alene Downtown Association is pleased to present the 26th Annual Lighting Ceremony Parade Sponsored by Idaho Central Credit Union. Watch as the parade entries light up Sherman Avenue as they bring the Holiday Spirit to Downtown CDA with marching bands, dancing, music and festive floats! NOV 24 Holiday Lighting Ceremony Cruise 5PM-7PM. Book the best seat in the house for the Coeur d’Alene Holiday Lighting Ceremony and Firewo rks Show, showcasing spectacular views from the lake! Continue on, viewing more than a million holiday lights and “Journey to the North Pole” across the lake in this 90-minute cruise to visit Santa Claus at his waterfront toy workshop. Children (2 yrs. & under): FREE! Nov 24th – Dec-17th Christmas with a Twist Don’t miss a night filled with music, laughter and stories celebrating the holiday season! Directed by Troy Nickerson. Showtimes: November 24th through December 17th: Thursday-Saturday (7:30 pm), Sunday (5:00 pm). NOV-25th Small Business Saturday 8AM – 8PM Shop Small with your Downtown Coeur d’Alene local retailers all day on November 25! Stay tuned for more fun details to come. 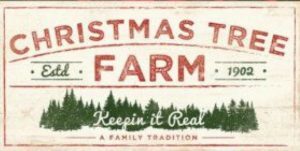 Nov 26 Christmas on The Farm Open House 4PM-8PM. Help us kick off the most wonderful time o f year with our Christmas tree Lighting and open house! Bon fires, food trucks, hot cocoa, carolers and more. Christmas gifts and decore galore, from vintage to rustic, to farmhouse; everyone is sure to find something to love! Santa may even make an appearance! Nov 27th Fashion Show Dinner 5PM-7PM. 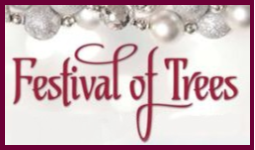 Fabulous fashions and beautifully decorated trees all for an outstanding cause. Transforming lives today, tomorrow and into the future! DEC-9th Breakfast with Santa 9AM- 11Am Location the Boys and Girls Club. 925 N 15th St, Coeur D’Alene, ID 83814, Everyone is welcome to come have breakfast with Santa! You can also write letters, you may just get a response, and get your picture with Santa!. Recommended donation of $3 for kids and $5 for adults. DEC 8th 5:00-8:00pm every second Friday of the month, April-December, stroll through beautiful Downtown Coeur d’Alene and enjoy local and nationally acclaimed artists. Visit supporting galleries, shops, restaurants and businesses. A free family-friendly event! This will be our 4th annual fundraiser. Silent Auction items, including Men’s Gonzaga Basketball tickets, raffels, singing children and a great time.